Our Gold Medal Wine Club Review | The Perfect Wine Club? Why are you reading our Gold Medal Wine Club review? You must be interested in signing up for the Gold Medal Wine Club (I can read your mind). 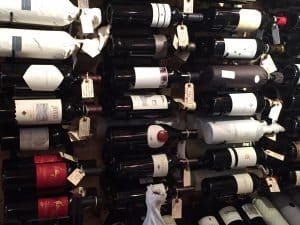 I think you will be pleased with your choice, but read our review of the Gold Medal Wine Club's options before you dive in. The Gold Medal Wine Club is really six wine clubs operating under one umbrella. Their most popular club is the Gold Club. This is a classic "wine of the month" type club. You can customize it a little to suit your preferences. By that, I mean, change the number of bottles in each club shipment, go for an all red wine delivery, ask for quarterly shipment, etc. The standard offering is two bottles of wine (one white one red) from small California producers. The rest of the options from Gold Medal Wine Club are focused on different niches. There are some really fun options if you are looking for a particular type of experience. Do you only want Pinot Noirs? They have a Pinot Noir club. Are you interested in a club for international wines? They have that also. So how does the Gold Medal Wine Club differ from the other wine clubs out there? We like to group clubs into three main buckets. You have "Wine Picker" clubs, "Palate Finder Clubs" and "Négociant Clubs". Gold Medal is a "Wine Picker" club. Why would you choose a "Wine Picker" club? This type of club is a "set it and forget it" model. You trust a wine expert to uncover and deliver great wine values. Each month you get the same wines as everyone else in the club. We think these are the best clubs, if you have the right people picking the wine, because you don't have to do anything. Other clubs want you to pick the wine each month, fill out surveys, etc. Too much effort! The Gold Medal Wine Club has been around since 1991. Their staying power is a tribute to their ability to pick great wines. Their longevity also allowed them to develop meaningful relationships with some of the best wineries in California. [note] This post about the best wine clubs contains affiliate links, which means that if you click on one of the product links and decide you love what they have to offer, we will be compensated. When we decided to write a Gold Medal Wine Club review, we focused on the "Gold Club". This is the most popular and the most inexpensive wine club they offer. For $39 a month you receive two bottles of wine (red and white) from a small California winery. The Platinum Club - 2 Bottles ($89) | This is a premium club. You can expect 90+ rated wines from top wineries in California. You'll receive wines that are a cut above the Gold Club. In some cases, these are rare or smaller production wines. The Pinot Noir Club - 2 Bottles ($75) | You guessed it. This Gold Medal Wine Club is focused on Pinot Noir. The "it" grape for a while, Pinot Noir is considered a winemakers' wine. This club will introduce you to some of the best producers of this fickle wine. The wines are sourced from both California and international wineries. The Garagiste Club - 2 Bottles ($75) | The term Garagiste was first used in France to describe ultra small production winemakers. This is a fun club if you are into discovering the next cult wine. We haven't found too many ultra-small production wine clubs in our searches, so this is unique. Serious wine lovers are likely to enjoy the garagiste wine club. The International Wine Club - 3 Bottles ($75) | This Gold Medal Wine Club offering only ships four times per year. They scour the globe for great wine values and great producers. This is an adventurous wine club. The Diamond Wine Club - 2 Bottles ($179) | This Cabernet Sauvignon Wine Club ships four times per year. The price isn't a misprint. This is an exclusive wine club. Only 500 members are let in. If you are one of them, you will be treated to some of the best Cabernet Sauvignon made in California. This is a wine club for collectors. And a wine club for Cab lovers. The story behind the wine is part of the joy of being a wine lover. Gold Medal Wine Club sends "The Wine Press" along with your shipments. This is a nicely crafted mini-magazine that tells you all about the winery and wine that is in your shipment. We feel like this is above and beyond what you typically get in a wine club shipment. The magazine included an interview with the winemaker, a discussion of the wine region where the grapes were grown and recipes that pair perfectly with the wine. We bumped up our Gold Medal Wine Club review after reading through it. The Gold Medal Wine Club website is nice. It's easy to navigate and the pricing is easy to understand. We used the online chat feature to ask a few questions while we were browsing and the answers were prompt. The club also has some nice member benefits like; refer friends and family and get a free bottle of wine, you receive special discounts when you order wine through their online store, you can sign up for the Plus program. When you are part of the Plus program, you will receive an extra bottle that is a rare or small production wine with your regular shipments. For our Gold Medal Wine Club review, we received two bottles of wine from La Follette winery (this is the Gold Club membership). One bottle of Pinot Noir and one bottle of Chardonnay. La Follette is a decorated winery with a lot of good press. Click on the wines below if you want more information. Here are the wine details. We were very happy with the wine quality and the value. We searched for this wine on a few online wine stores and found that the monthly club cost was less than the retail cost of the wine. Based on our Gold Medal Wine Club review, we think the "Gold Club" is perfect for casual wine lovers. Why do we say that? Because this wine club offers a nice mix of quality wine, good service and ease of use. You receive wines from smaller wineries that you can't typically find at the store. The wine pickers at Gold Medal Wine Club do all the work and you end up with a few nice bottles of wine at your door each month. We suggest wine collectors and wine aficionados focus on the Platinum Club or the Garagiste Wine Club. If you are ready to swing for the fences or your tech company just went public, go for the Cabernet Sauvignon wine club! Gold Medal | How do I order? Thanks for reading our Gold Medal Wine Club review. If you are ready to order, click here.